It's time for Jon Bernthal and Vera Farmiga to start boning up on their mobster slang. The two are in talks to join David Chase's prequel to The Sopranos, titled The Many Saints of Newark. They'll be joining the previously-cast Alessandro Nivola, who will be playing Dickie Moltisanti. 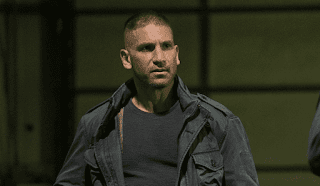 As for Bernthal and Farmiga's roles, those remain shrouded in mystery. It's possible they play figures mentioned in the groundbreaking HBO series, much the way Dickie Moltisanti was. Moltisanti was a major influence on a young Tony Soprano, who will appear in the movie watching the crime family's rise to power in racially-charged 1960s New Jersey. An actor to play Soprano has yet to be named. Younger versions of other Sopranos characters are expected.